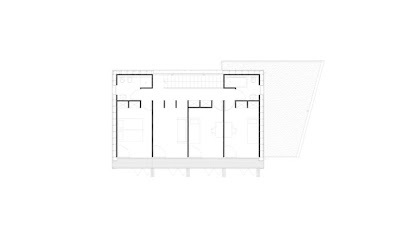 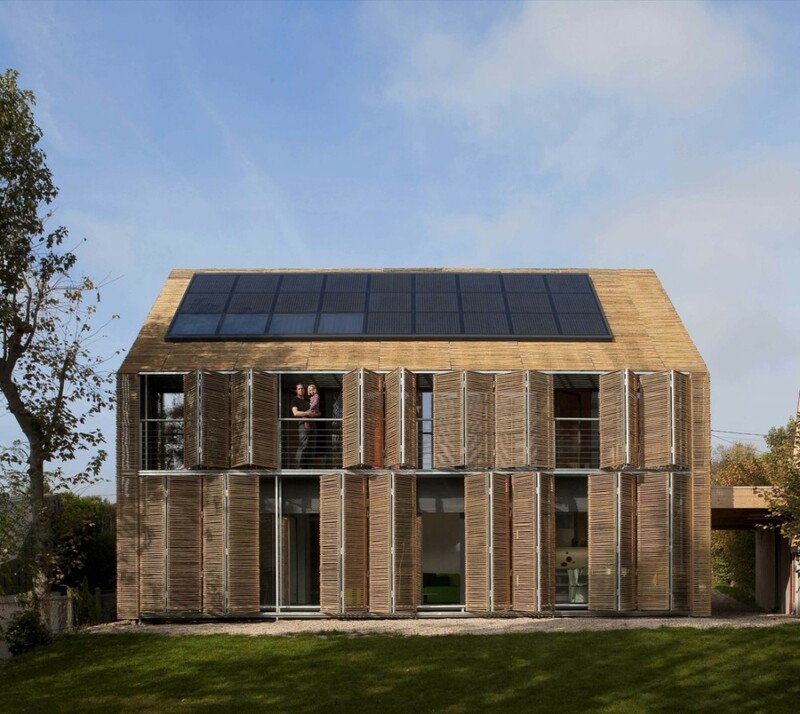 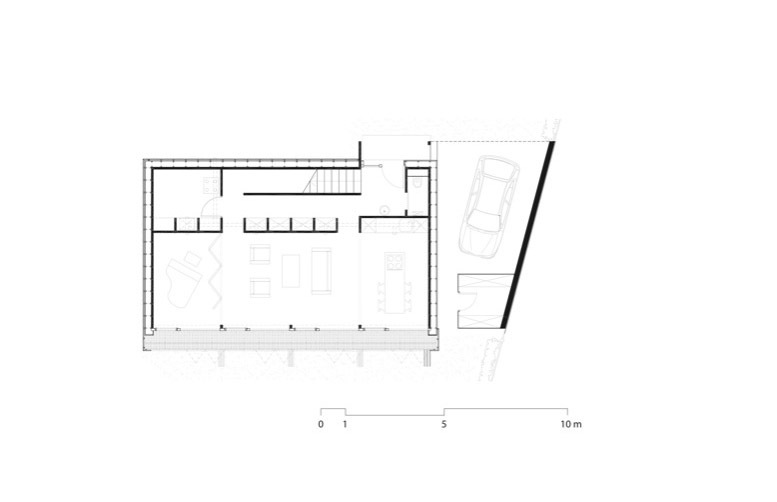 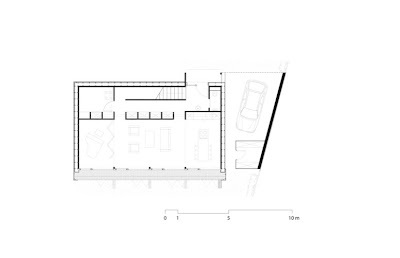 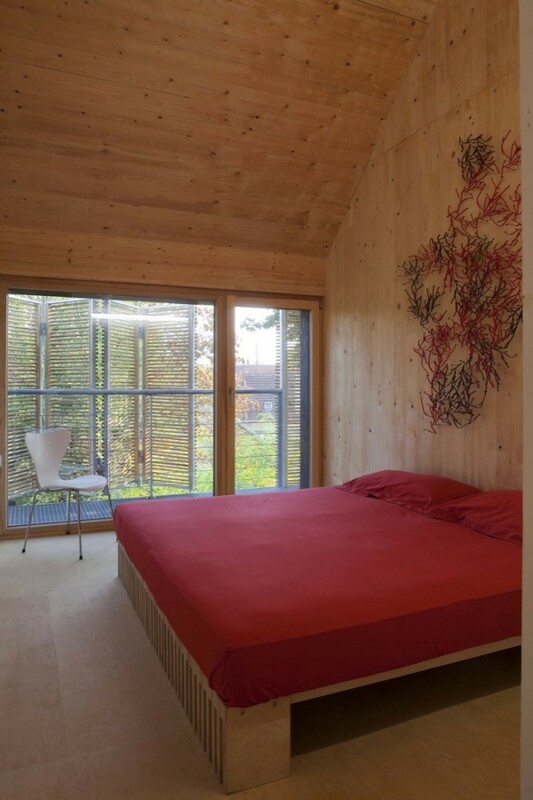 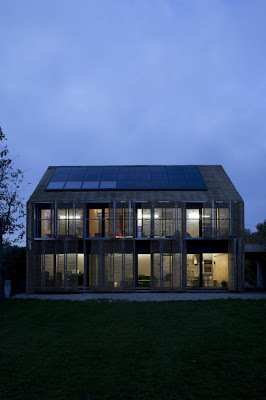 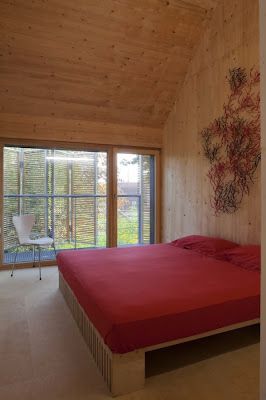 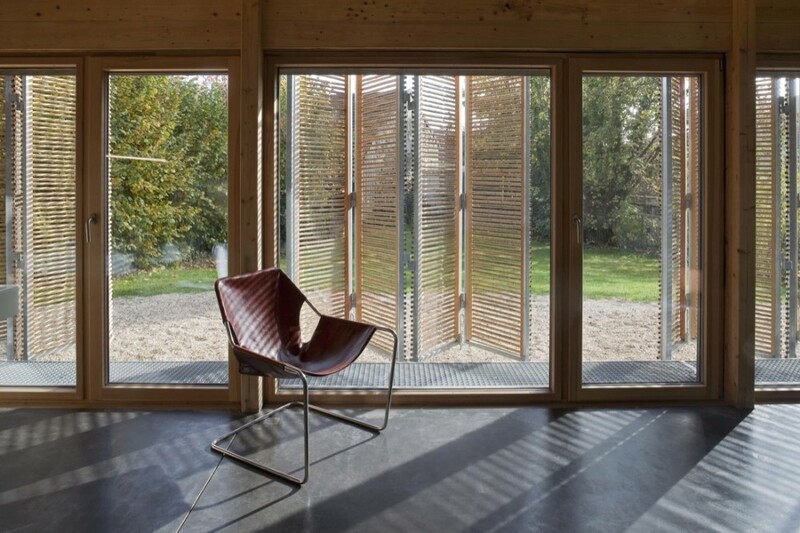 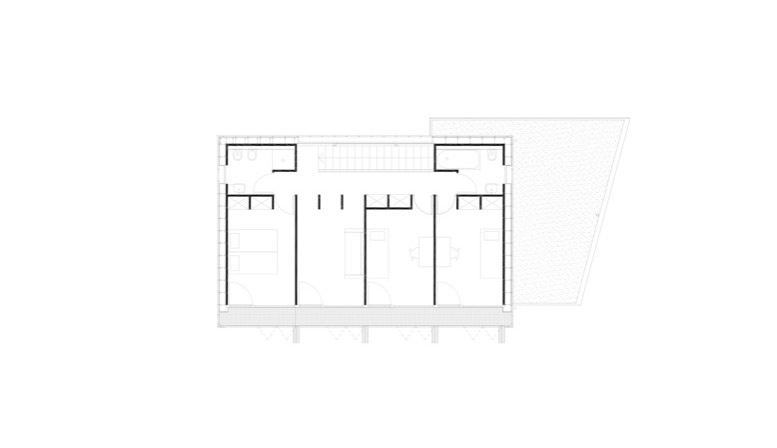 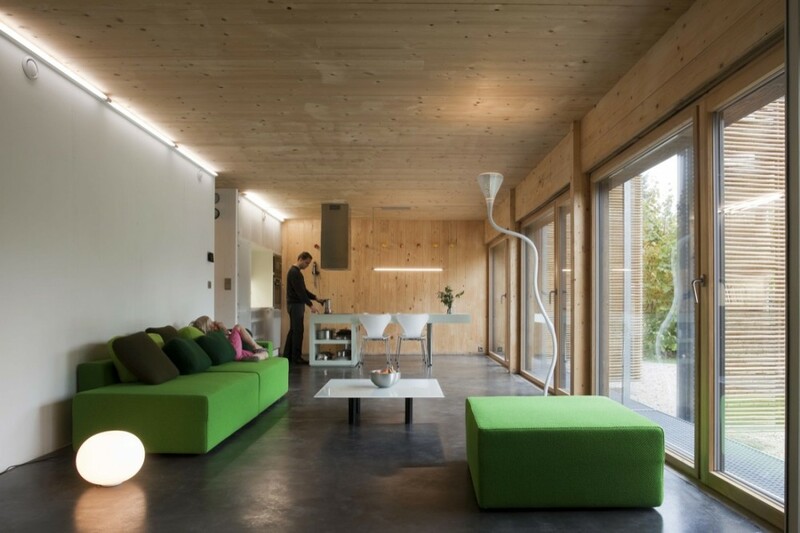 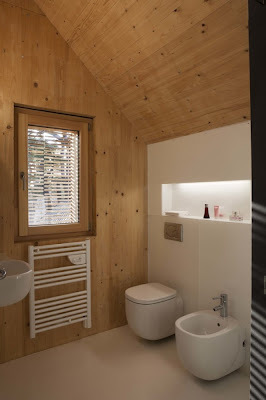 Aesthetically, the solar passive house design (France) is very similar to a traditional house. 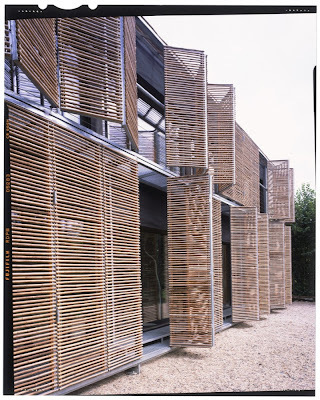 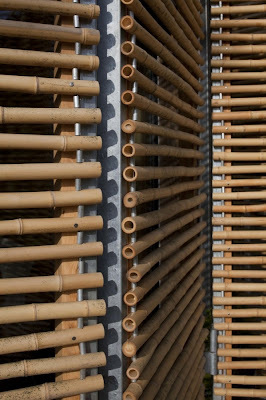 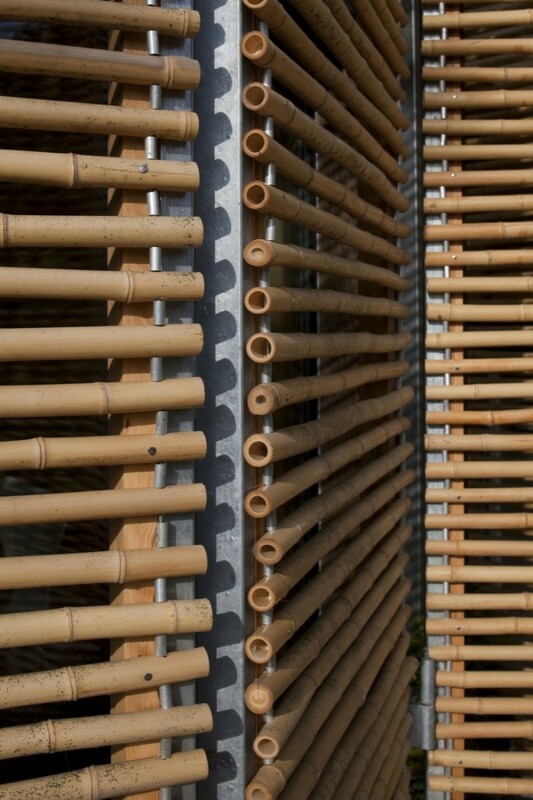 Design of the facades is open to the southern sun, and is closed to the energy loss to the north. 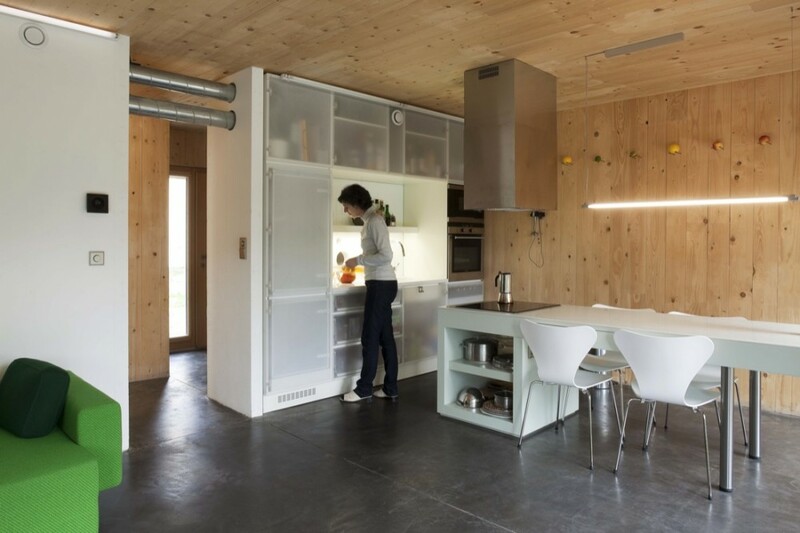 The structure of the house is assembled from prefabricated wooden panels.